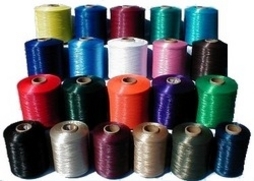 For over 20 years, RYC has provided competitive, high-quality viscose rayon yarns to the textile markets. We strive to offer the highest level of service and accommodation. There are several ways we can offer you a supply of yarn. For over 30 years, RYC has provided competitive, high-quality viscose rayon yarns to the textile markets. We strive to offer the highest level of service and accommodation. We maintain an ‘open-to-sell’ stock of different counts and colors. We continually analyze sales and trends to try and stay ahead of demand. However, even with the best information, inventories naturally shift quickly. If we are out of an item, we can generally have it back in stock in 6 weeks. If you know you are going to need a specific yarn, please order the item, even if for future shipment. This is the best way for you to insure availability. We cannot accept ‘projections’ as orders. Without our acceptance of your firm order, there is no guarantee of availability of any item. Many clients find that not having yarn when they need it is too great a risk. You may order bulk quantities of any item and we will keep it on the floor for your release on a mutually agreed schedule. Only firm purchase orders are accepted for this service. We look forward to continuing to be of service and are always delighted to hear from you. We take pride in finding a solution for our customers.